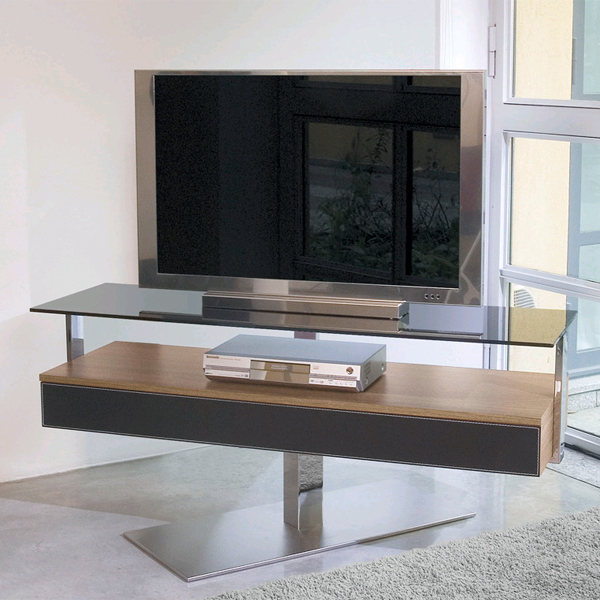 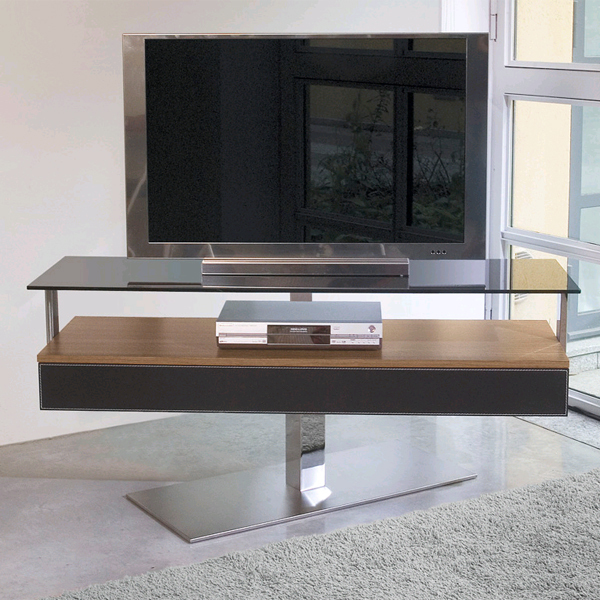 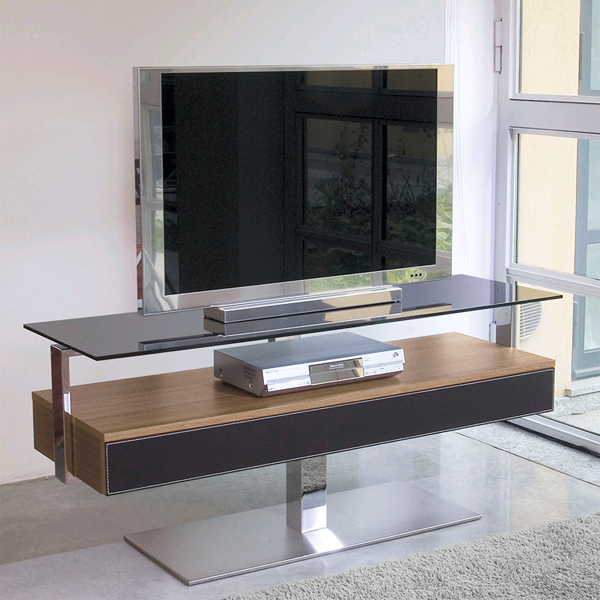 Swivelling TV stand with a wood or wood lacquered frame. 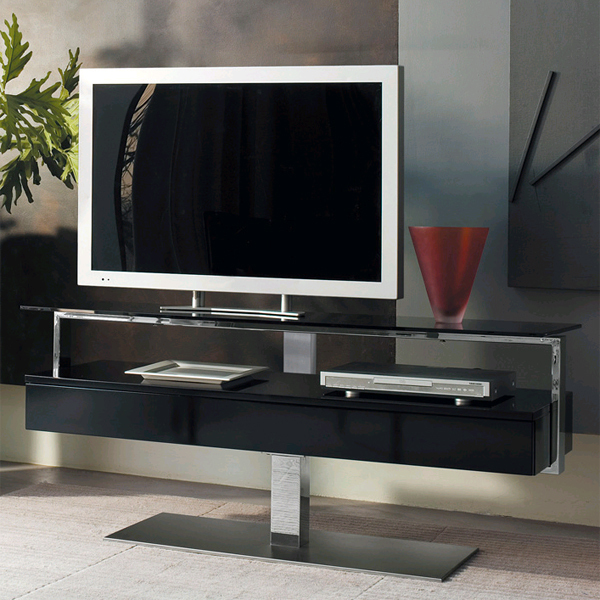 Top shelf in painted glass (choice of colors), base in satin steel. 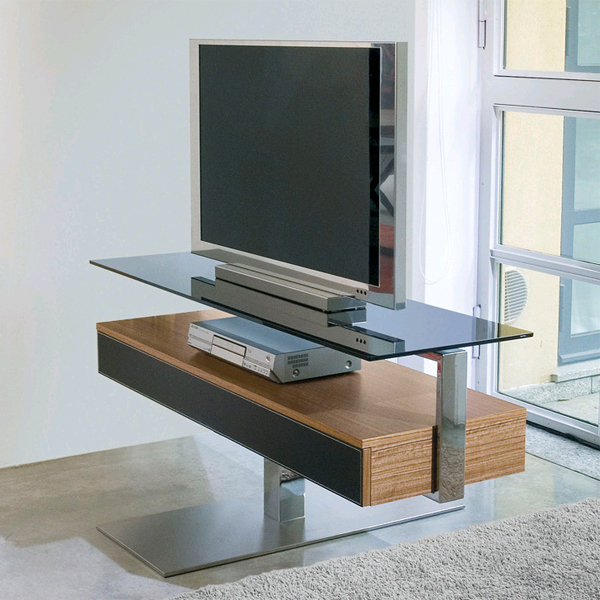 Front drawer covered in leather or lacquered. 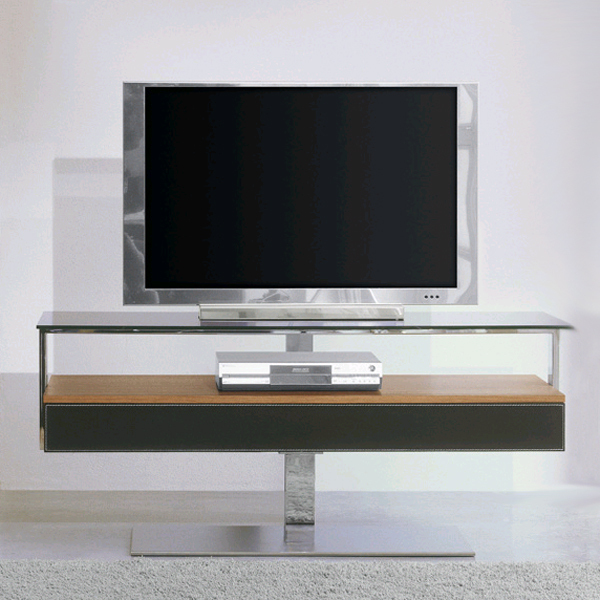 See sample links below for the full range of categories and colors.